The Texas senator is embracing a man with repeated connections to acts of anti-choice violence. Among the national co-chairs of that coalition is Troy Newman, one of the more malevolent figures in the anti-choice movement. He is the president of the radical anti-abortion group Operation Rescue, and a board member at the Center for Medical Progress, which just saw two employees indicted in Houston for deceptions conducted while creating the now-infamous “baby parts” videos that targeted Planned Parenthood. Newman has often suggested that the murder of abortion doctors is legally permissible, and his group has been connected to several notorious anti-choice acts of violence over the past 20 years. It would be virtually impossible not to be aware of this fact—it defines Newman’s career—yet Cruz said in a statement Wednesday that “Every single national co-chair in this coalition has led the charge for the pro-life cause and is a true inspiration.” Newman formally endorsed Cruz back in November, which created a small stir-up in the press, and Cruz is now doubling down on his connection with Newman. Cruz unveiled his new “pro-life coalition” at a Wednesday night rally in Des Moines where he argued that he is the candidate with the most credible opposition to abortion. “The question we ought to ask is, don’t tell me that you’re pro-life. Show me. When have you stood up and fought to defend the right to life?” he said. Newman’s biggest intellectual contribution to the radical anti-choice movement might be his book Their Blood Cries Out, published in 2000 and revised again in 2003. The book is named on the Cruz campaign website, in a short biography of Newman. The Cruz campaign did not answer a request for comment about whether, as president, Cruz would consider it the government’s role to execute abortion providers. The book is now out of print, and Newman has repeatedly said in recent years he only advocates combating abortion through “legal, legislative, and justice systems.” But the book has already been tied to one infamous anti-abortion murderer: Scott Roeder, who gunned down Dr. George Tiller in 2009, claimed to have a copy of Their Blood Cries Out signed by Newman himself. Long passages in the book compared Tiller to Adolf Hitler. Newman’s ties to the Tiller assassination run deeper than the book. When Newman took over Operation Rescue, he moved the organization to Wichita, Kansas, with the express purpose of focusing the group’s activities on Tiller. At the time, Tiller was one of the few doctors in the country to perform late-term abortions. 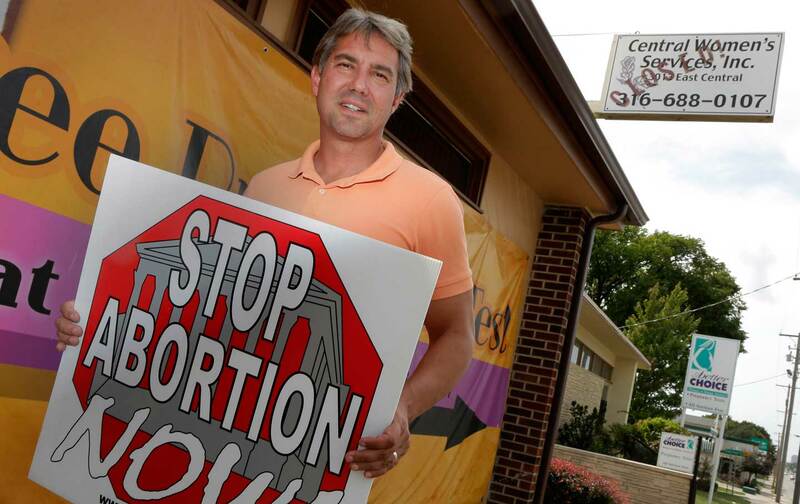 Operation Rescue helped focus the national anti-choice movement on Tiller’s clinic, and ran a website called “Tiller Watch” that listed the address of Tiller’s clinic, home, and church, where Tiller was eventually shot. To this day, Operation Rescue runs a website (which The Nation will not link to) that serves as a directory of abortion providers nationwide, complete with addresses and exterior photos of clinics. Roeder was indisputably in contact with Operation Rescue in the weeks before he murdered Tiller. The phone number of Cheryl Sullenger, the group’s senior policy adviser, was found by police on a Post-It note in Roeder’s car following the killing. Sullenger later admitted speaking with Roeder and keeping him apprised of day when Tiller would appear in court, in relation to largely frivolous cases being lodged by Operation Rescue, but claimed she was unaware of Roeder’s motivations. Sullenger herself pled guilty to conspiring to bomb a California abortion clinic in 1987, which she now characterizes as a mistake, and has publicly renounced violence as a means of fighting abortion. She is still with Operation Rescue. Newman also loudly denounced Tiller’s assassination and lamented that it set the anti-abortion movement back. But his uncomfortable proximity to the crime did not damage his credentials in the anti-choice movement. He is a founding board member of the Center for Medical Progress, which produced the undercover videos purporting to show officials at Planned Parenthood peddling tissue from aborted babies. That plan was hatched in a meeting between Newman and David Daleiden, which Newman described on a Christian radio program last year. “[W]e decided and set out to go ahead and expose [fetal tissue sales] and create an investigative journalism organization that would embed ourselves into the abortion cartel and to catch them off-script,” he said. Daleiden has since been indicted for using a fake driver’s license and attempting to purchase human organs while making the supposed sting video. No actual evidence of Planned Parenthood’s selling fetal tissue was ever uncovered. In November, a man named Robert Dear allegedly stormed a Planned Parenthood clinic in Colorado Springs and killed three people. Law-enforcement officials said he used the phrase “no more baby parts’’ to explain his motivation.